Lead an alliance of 20 airlines based across the world, all with different technology and operational systems, employee cultures and cultural norms, and create a system that allows customers to seamlessly move from one carrier to another, often on the same journey. That's the mission of Perry Cantarutti, Amsterdam-based CEO of SkyTeam. Since the airline alliance's founding 17 years ago, SkyTeam has grown fivefold – and customer expectations have probably grown even more. "Air travelers have become much more global. The notion of where customers can go has widened considerably," said Cantarutti, who joined SkyTeam two years ago from Delta Air Lines. "In addition, the consumer now expects to be personally recognized for their loyalty no matter which SkyTeam carrier they are flying on. It's our goal to create that experience." That's no easy task – did I mention there are 20 separate airlines in SkyTeam? 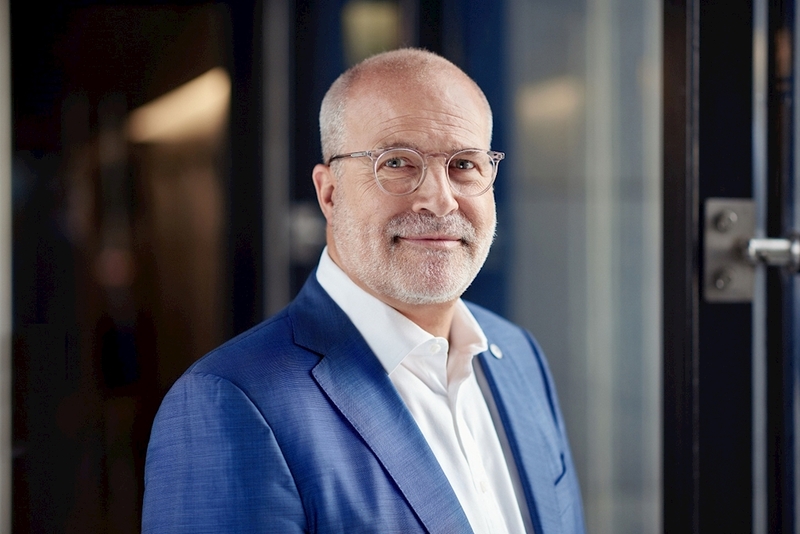 I spoke to Cantarutti recently about SkyTeam's plans to utilize technology to improve travel, the alliance's place in a landscape of tightening airline partnerships, and the "invisible moments" that allow customers to easily traverse the world. Q: What are SkyTeam's primary goals? What opportunities does it offer customers, member airlines and their employees? A: SkyTeam was started by Delta, Aeromexico, Air France and Korean Air with the goal of providing the carriers with more geographic scope through codeshares to get customers from point A to point B and point C. Now with 20 members (see chart below), we serve nearly 1,100 destinations globally covering about 80 percent of the world and our focus has shifted from geography to the customer. That's primarily about providing a similar customer experience across the SkyTeam carriers with one booking, so the journey is not only effortless but enjoyable for the consumer. For customers, we're offering much more opportunity to travel widely within the alliance and earn benefits for loyalty - accruing and redeeming miles across SkyTeam members - and SkyPriority check-in, boarding and baggage service that's recognized across the world. For the airlines, we're helping them improve the efficiency of their businesses and leverage commercial opportunities. For employees, they can look at SkyTeam as an extended family that's there to help. For example, agents will soon have the ability to help customers affected by severe weather by accessing information on passengers booked by other carriers using their own system for rebooking customers on other member airlines when needed. That makes their lives easier, and helps them serve customers better. We do a lot of work on what we call "the invisible moments" of air travel – the countless behind-the-scenes details that have to be coordinated 'just right' so customers can fly on multiple carriers - say from Atlanta to Amsterdam to Nairobi and onward - knowing their bags will arrive on time and having that experience be easy and stress-free. One of the fundamental promises of SkyTeam is that the customer will experience a level of quality and reliability among all the members. Creating and sustaining that seamless experience is something we're always working on, but for customers it's just a basic expectation. Increasingly the customer, especially global business travelers who have earned Elite or Elite Plus status with us, expects that we will know who they are, recognize them, their preferences and their loyalty. They're not a number but a person who has a relationship with a SkyTeam member airline, which they expect to be extended to all carriers in the alliance. 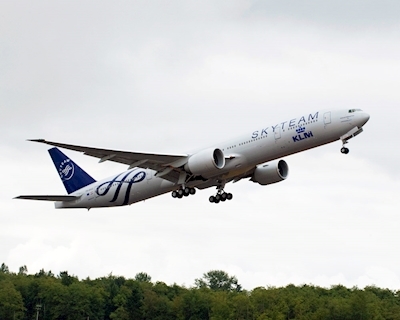 Going forward, many of the opportunities for SkyTeam involve technology. It's a challenge for 20 different technology systems to be integrated in a way that meets customer expectations about how they want to travel, with the ability to book and make changes, choose seats and more across multiple carriers. Then add in that customers want to do all these things from their mobile phone and you get a sense of the challenge. How does SkyTeam fit into a shifting landscape that has seen some members forge closer partnerships with each other, including immunized joint ventures (JVs)? I see it as a good thing. In many cases those relationships started as codeshares through SkyTeam. SkyTeam is a platform for airlines to collaborate and in many instances it has helped the leaders of carriers get to know each other, which has led to closer relationships. So we welcome joint ventures and stronger business relationships because they almost always involve a more-integrated customer experience and that helps to strengthen the SkyTeam alliance. I'd compare the JVs to adding steel rebar to concrete. The concrete was already strong but adding the rebar makes it even stronger. Does SkyTeam have gaps in its worldwide coverage? Where do you see the biggest opportunity? I'd say Brazil and India. We have what we call "friends of SkyTeam" in those countries – carriers that are codeshare partners with SkyTeam members (GOL in Brazil, Jet Airways in India) but I think there's opportunity in those countries. We have a new SkyTeam-branded lounge opening in Vancouver in 2017 – our seventh overall and first in North America, so we're excited about that. Our lounges are in airports where we don't have a SkyTeam home carrier and none of the SkyTeam members have a lounge. So, the SkyTeam lounges provide a great opportunity to offer a SkyTeam-branded facility where otherwise carriers would have to use a third party or other airline lounge. 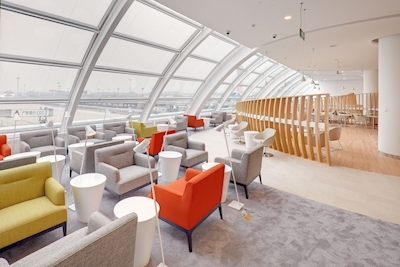 Customers benefit from a top-quality lounge experience (Beijing lounge pictured below). In early 2018, Delta agents will gain the ability to help rebook customers affected by an irregular operation on any of our alliance airlines using their Delta tools. Right now, they must refer the customer back to another carrier. To the customer, that's a hassle and not a preferred experience. Customers know technology allows for integration and they frankly don't care that it's difficult to coordinate among carriers. So that's where SkyTeam can step in and make that a better experience. Also in 2018, Delta and Aeromexico are embarking on a SkyTeam pilot project that will help the airlines more easily sell ancillary products. For example, say I'm traveling home to the U.S. from a business trip to Mexico and decide along the way I'm tired and want to upgrade the second leg of my trip from Main Cabin to Comfort+. If I didn't buy the original fare through Delta then I can't do it online, I must see an agent. Which takes up the employee's time and the customer's time. This technology upgrade will let the customer make all those decisions online, on their mobile phone. That's what customers expect now, to be able to have that level of control, convenience and choice. That's not easy for an airline to consistently provide via all customer channels and even more difficult when an itinerary involves multiple carriers. A lot of what we're focusing on is harnessing the potential for technology to help our carriers deliver that consistent customer service. Technology will be an enabler of a truly personalized and enhanced customer experience. We have a lot more in the pipeline and the opportunity to create efficiencies for the carriers and convenience for customers is very exciting.